We are all excited for the new community center. With a large stage, upstairs, and giant floor it has a lot of possibilities. We hope everyone will be able to use the community center for important events. Thanks to everyone who donated time, money, and material to make this dream come true. This entry was posted in Community Events on January 25, 2017 by hopetown. The hot sun burns me. The sandy beach is very fun. I like the hot beach. Hurricanes are harsh. You should be careful, watch news They are dangerous. This entry was posted in Creative Writing on January 25, 2017 by hopetown. Recently in California, winter storm “Caly” knocked down the Calaveras Big trees State park famous drive-thru Sequoia tree. The base of the Sequoia tree was carved out for cars to drive through in 1880. The tree was over 2,000 years old and the storm’s winds were just too strong for the Sequoia’s shallow roots. It was a attraction for the families that would to visit the park and children admired how huge the tree was. It is a real shame that this tree has fallen but, the bigger shame was that they should have never cut a hole in the tree in the first place. The big Sequoia shall always be remembered in the hearts of those who cared. This entry was posted in World News on January 25, 2017 by hopetown. As I pulled the main sheet, my hands became sore and blisters appeared on them. The wind was picking up, which caused the waves to become bigger and stronger, which made my sailboat rock back and forth. The waves splashed on my face, and into my eyes. The saltwater in my eyes made them sting as if jellyfish tentacles were wrapping around them. I felt my body move, and then all of a sudden I felt something cold. A shiver rushed up my spine, which made the hair on the back of my neck stand on end. Goosebumps immediately spread across my body. When I looked down at my feet, I realized I was in the water! I suppose a giant wave had knocked me off. I was drifting away from my boat. I swam and swam, but it was no use, the current was too strong and was pulling me away. Rain had started to pour down on my face and the gray clouds nearby eventually covered the sky. A tear trickled down my face, dripped into the water, and created ripples that had spread far across the water and soon disappeared. This entry was posted in Creative Writing on January 18, 2017 by hopetown. Over the Christmas break I got to watch Harry Potter and the Prisoner of Azkaban for the first time! I have read the book and it is my favorite one I have read so far from the Harry Potter series. I had not watched the movie yet . While watching it there was a time I was so excited that I was sitting on the edge of my chair. There was another time when my heart started getting louder with much fright. It was an amazing movie, I would highly recommend it! This entry was posted in Arts and Entertainment on January 18, 2017 by hopetown. Hope Town Primary to Captain Jacks and we looped back around. massive crowd -people even traveled from Marsh Harbour to be there. I felt like I was in a volcano and cement blocks were on my shoulders. It was hot, tiring, but very exciting! This entry was posted in Community Events on January 18, 2017 by hopetown. We woke up in the damp dark cave. I was on a old straw mat. The man was rubbing vinegar on my head. It stung like crazy! There was a deep gash between my tired eyes. Three long weeks of boredom passed while I was healing. When I was better, the old man made a bright signal fire . A large ship went by, along with the days. We waited in desperation and we began to wonder if they are out searching for us . The next day, three helicopters landed on our tiny little island – I was amazed! I was relieved we had been found! Every night I stare into the sky and wonder, is that island still there? Is the man still there? I will never know. Or will I? 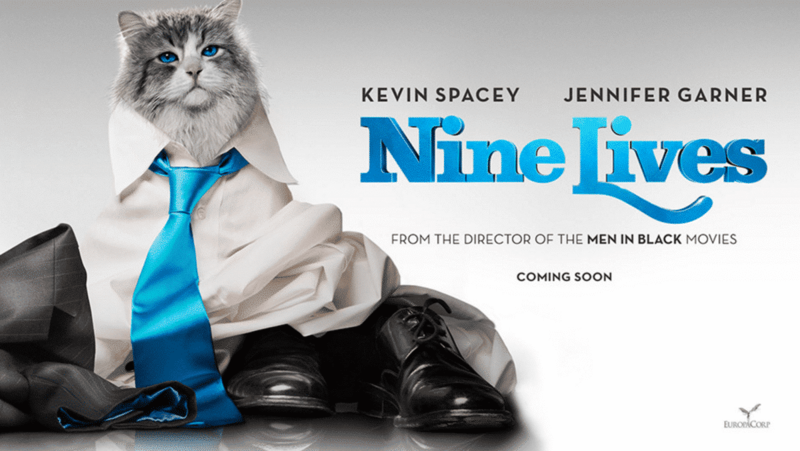 Nine Lives is a movie about a business man who never spends time with his family. His daughter has a birthday and he hadn’t bought her present. He knows she wants a cat but he hates cats but he eventually goes to a pet store. He grabs the cat that keeps bothering him with the bowl that says Mr. Fluffypants. His assistant called him to the top of his building. He falls off the top of the building and he is in the cat’s body. Only one person can hear what he says and that is the pet store owner. How will he get out of this mess? The movie The Truman Show was released in 1998. I’m reviewing it is because I thought it has an interesting topic. It was about a man named Truman who was raised in an artificial environment. He lives in a small town surrounded by water. When Truman was six, his father “died” on a sailboat and that gave Truman a fear of the water. Later in the film he begins to figure out that his “world” is fake. Everything revolves around him and he is being filmed day and night for a hit TV show! Millions of people are watching him throughout his whole life. They have over five thousand cameras in the small little town, and he needs to find ways to get away from the cameras to escape from the creators of the film. When Truman tries to get away on a sailboat to to escape the show, the producers throw water and wind in his way but he won’t back down. Will he escape this terrible paradise? It was an interesting movie and in case you want to watch I will leave the ending as a surprise. I definitely recommend picking this movie up . It is one of my favorites and gets a ten out of ten in my book. It is a family friendly movie and is a mix of drama and comedy. This entry was posted in Arts and Entertainment on January 11, 2017 by hopetown. me tell you about what the 5Rs mean. the waste of our energy. Number two:Reuse. We could reuse our water bottles. Number three:Recycle. We can recycle cans, bottles and paper. This entry was posted in World News on January 11, 2017 by hopetown.